Today hacking the password of Wi-Fi has become the most popular topic on the web. Mostly the users are keeping their Wi-Fi fully secured with the tough password in order to prevent unauthorized access. It is very much essential as the open network can be vulnerable that can be misused by the malicious people. What if your neighbor or friend is not sharing the password of Wi-Fi with you? 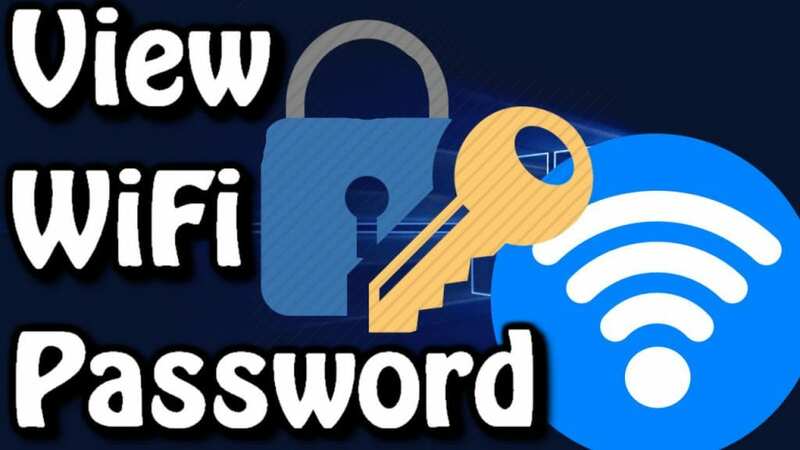 So you would like to become knowledgeable on how to easily hack the password of Wi-Fi so you easily can enjoy using free of cost Wi-Fi whenever visit to the friends home. There might be any reason for hacking the password of it. It is like checking the own Wi-Fi connection security or might be trying to retrieve the forgotten password of it. It might be really too much surprising for one but yes, it really very much easier for one to learn easily hacking the password of Wi-Fi without letting anyone knows it. The best thing is that there are no special skills or technical or programming knowledge needed for doing so. 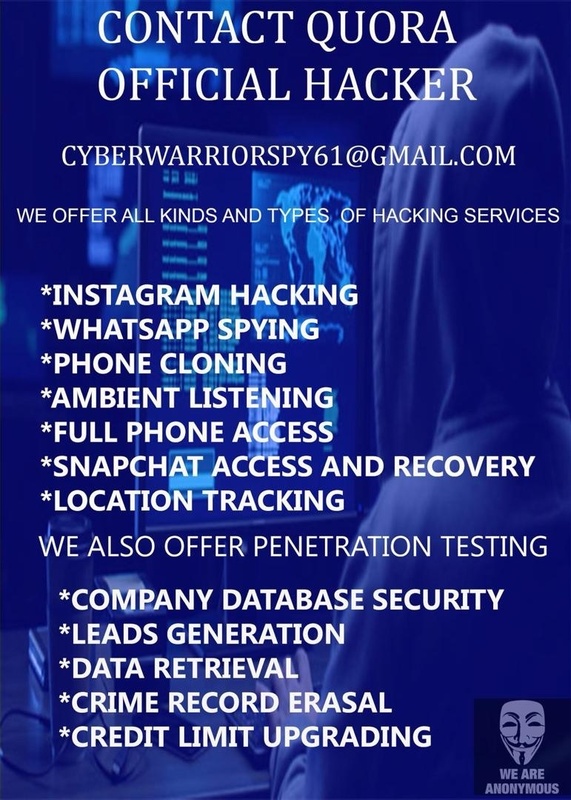 However, if you want to have safer experience in doing so, you can take the help, of one of the most famous spyware named as TheTruthSpy App. Currently, the iPhone is one of the top leading series of Smartphone. The main reason for the high popularity of this device is its security. Their lots of restrictions are applied to the device that is making it highly secure than any other OS. 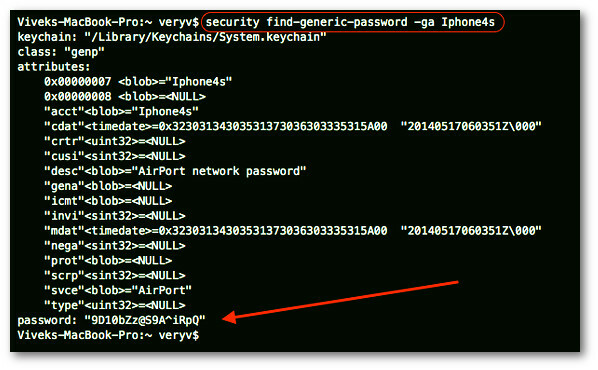 With high growth in the world of computerization, numbers of tools are created that will help a user in hacking the password of Wi-Fi on the iPhone device. Hacking the password of Wi-Fi is very much easier. At first, you need to jailbreak the device for running the application. Now, open up the Cydia application and get the hack application for the iOS device installed. Wait for few minutes for finishing the installation process. Now hit on the hack icon to launch the iOS device hack. 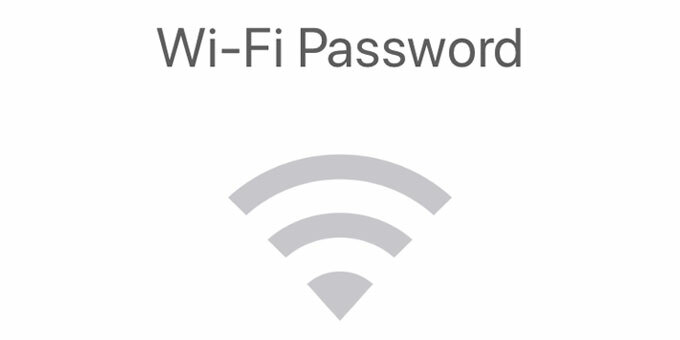 Scan the available network of Wi-Fi by hitting on the icon Refresh that is at the screen left the bottom corner. 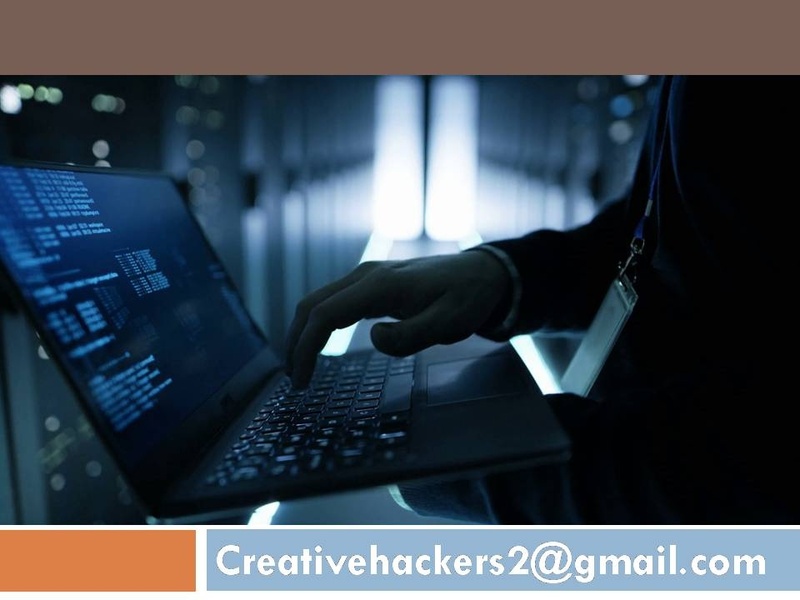 Hit on Wi-Fi network that you wish to hack upon and being the process of hacking. Once you have done with all, you will get the password. Herein we are going to discuss how a user can hack the password of Wi-Fi on android device. On the mobile Google play store, you will see numbers of applications for Wi-Fi hacking that within few simple steps is hacking the Wi-Fi network. Unlike iOS, there you need not have to root the device for hacking the Wi-Fi. Android is actually open source OS that is offering the good environment for the developers for making the good applications for users of Android. The hacking application of Wi-Fi is such environment outcomes. 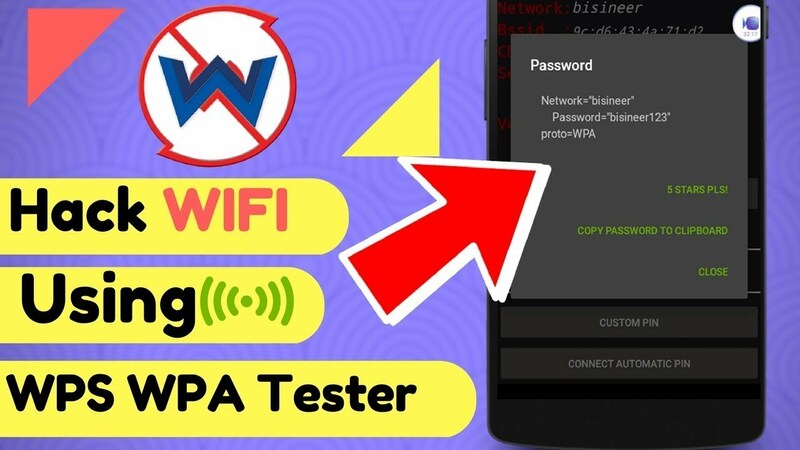 Here we will be using WPS WPA tester for Android Wi-Fi password hacking. This is the best application that will enable users in hacking the network of Wi-Fi on the androids platform. One can get the tool for free for cost from the Google play store. At first, you are required doing the downloading of WPS WPA Tester through the Google play store. Once the process of installation done successfully, hit on the icon of the app to open up. Hit on refresh option for scanning the available Wi-Fi networks. Now, you need to hit on the network so that you can hack the one would like to. Tap on the option of connect automatic pin. This will be applying some set of pins for hacking the networks of Wi-Fi. The password will be displayed. The window is nothing but the OS of the PC and laptop that you are using. If you are the users of the window and want to hack the network of Wi-Fi, continue on reading it. It is the little bit difficult for one to hack the network of Wi-Fi on the window because of lack of availability of software. Still, a good tool is brought up for you. Dumper is the one that is developed for PC runs on windows. It is a widely used digital protocol that can hack the WPS based network that is wireless. Just download the open source tool at free of cost through the official site. Download the app and install it into the PC windows. After it hit on the option to open it. 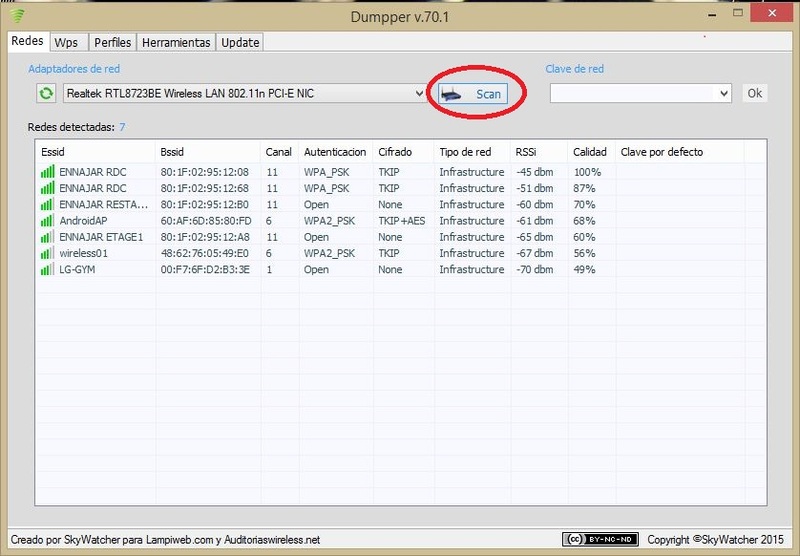 The dumper will appear, select the wireless adapter and hit on scan option for scanning all the nearby networks available. Now hit on WPS and hit on option all network and now hit on scan option. You will see all the available networks and choose the network that you wish to hack upon and tap on option Start jumpstart. The Wi-Fi hacking process will begin automatically and will take few minutes for completing the process. Hit on the finish and then get to profiles. Tap on network name option and see the network password. Mac is the computer’s another OS. In this OS it is nearly impossible for the hacker to hack the password of Wi-Fi but a good solution is being bought for you. This particular method requires physical access over the Mac and required the name of the user and password of the targeted device. At first, you need to open up the terminal. Type the mentioned command “find-generic-password-ga “WiFiname” grep password”. Enter the name of user and password of the Mac account and then tap on the option “Allow”. After all, you will see the Wi-Fi network password. So you want to go for Wi-Fi password hacking or the other data that included social app data, text messages, videos, photos. You can definitely try TheTruthSpy App for hacking the Wi-Fi password. It is one of the best tools for monitoring purpose addition with parental control tool that is created particularly for iOS and Android. In this application, you will find the best functions like Keylogger that will let you in viewing all what the targeted person type on the keyboard. This application is not limited to such things. If you are the parent of children, then expect this TheTruthSpy, not another tool can be reliable for you. The commendable features help parents in aiding in keeping eye on activities of children. It is very much easier to use it for monitoring the activities of the targeted person. It is easily accessing the live location of the device of the targeted person. 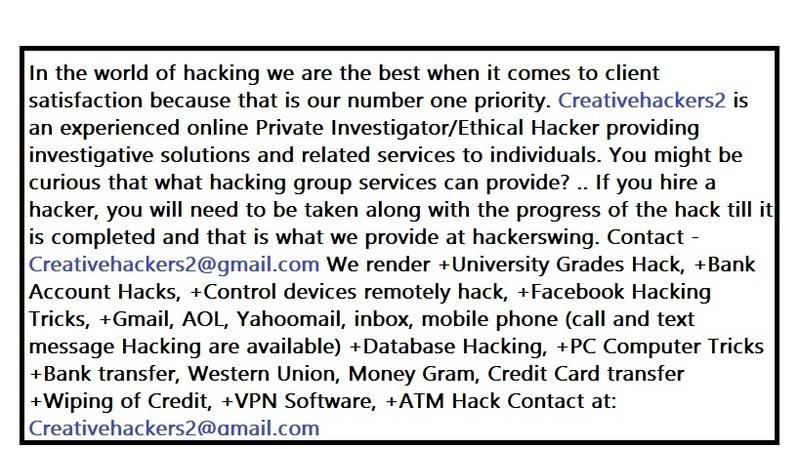 A hacker can get access via remotely to the web history messages, call history, messages etc. 24×7 hours fully dedicated support team is there to assist you in case of trouble. The best thing is it working on all phones on all the networks. Alert and notification- when a targeted person changes the SIM card, the hacker will get the notification through the SMS. Also, you will come to know the new number as well. Monitoring the internet activities– It views the history of the internet activity that the targeted person has done, sites visited, content downloaded etc. A hacker can block the website that it doesn’t want the targeted person to visit anymore. Managing calls– A hacker can look at the entire history of calls that is including, time, contact name, call duration, deleted records etc. Viewing the multimedia files– One can view the multimedia files like captured photos, video recorded, voice memos, screenshots takes etc in the device of the suspected person. Now, without doing delaying in hacking the Wi-Fi password, just get the spyware and begin hacking on others device to enjoy free Wi-Fi. You can visit the official website http://android.thetruthspy.com of TheTruthSpy application and from there get it to download and choose subscription package as per the budget and enjoy having spying experience on others device. My marriage with Paul is not favor me because everytime is fight because he did not come house at a particular time and I suspect a sudden change about him that make me to contact ALEXHACKER688 AT GEE MALE DOT COM so that I can know what going on with him and i can see his Cheating on me. Thank you ALEXHACKER688 for letting me know. I’m a computer engineering and I collected a work which have check and I can’t find a solution to it and this have been causing problem for me for like a month now and the owner want to take me to court the following week but I contacted a friend and he recommend ALEXHACKER688 for me I don’t want to believe him since have try it my self not working but ALEXHACKER688 AT GEE MAIL DOT COM get it fixed for me without wasting my time, now I’m happy and Alex did not collect anything from me because he did not take his time at all. You might be facing hard times now but the worse is taking wrong steps for solutions. 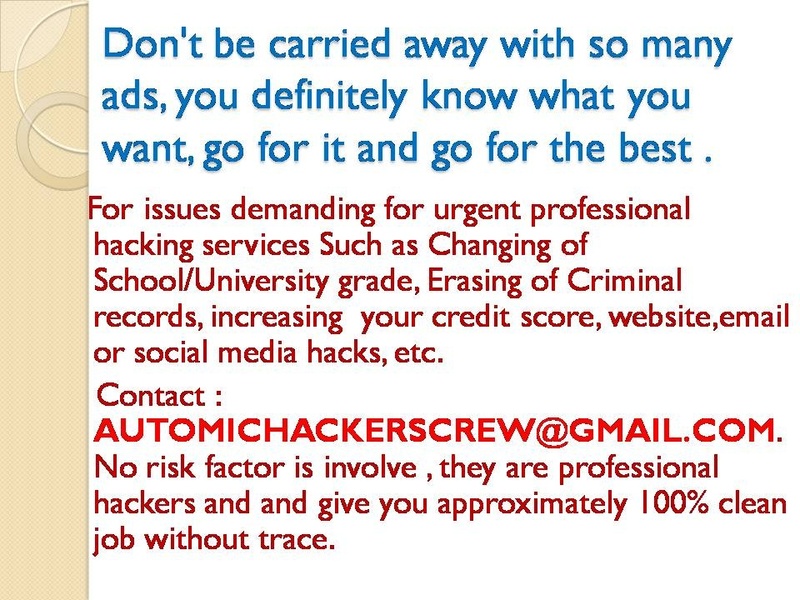 Please if you need a hacking job to be well done kindly contact ALEXHACKER688 AT GEE MALE DOT COM, I must tell you his service is legit he is noticed all over the the world. 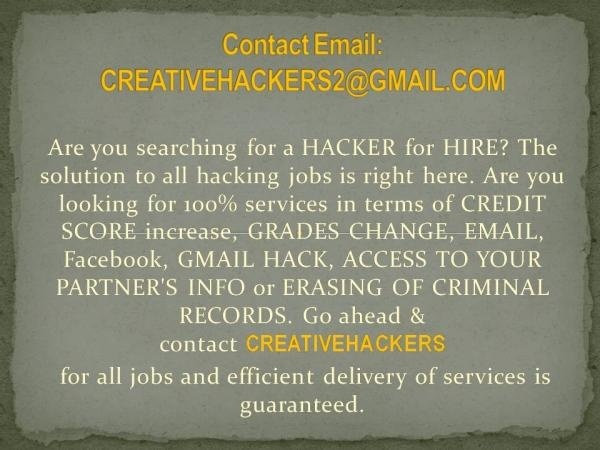 I have hire this hacker before, its been over three years now he helped me hack into the company website where i seek for job, he helped me convert my name into the company’s employee apply list. He did it clean and safe without traces till now. Thank you ALEXHACKER688 AT GEE MAIL DOT COME. Thank you ALEXHACKER688 AT GEE MAIL DOT COME, you are recommended and I can vouch for you. He also helped me too and safe my family, ALEXHACKER688 is the competent and intelligent. 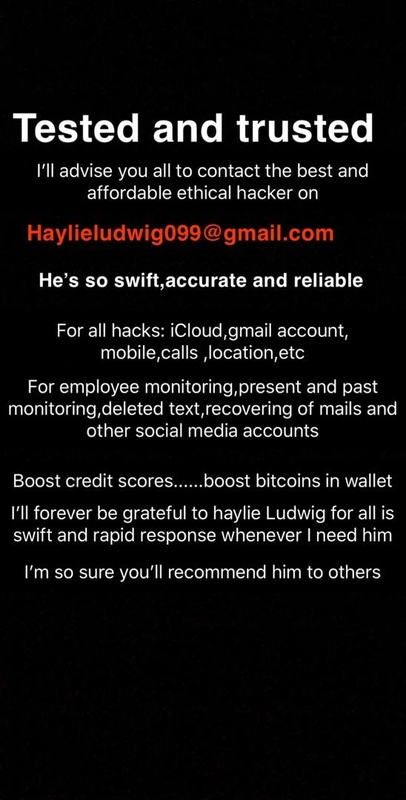 Hire him today and get the best service ever. Are you desperate need to know what your son up to??? Is your son / daughter telling you the truth about their locations? 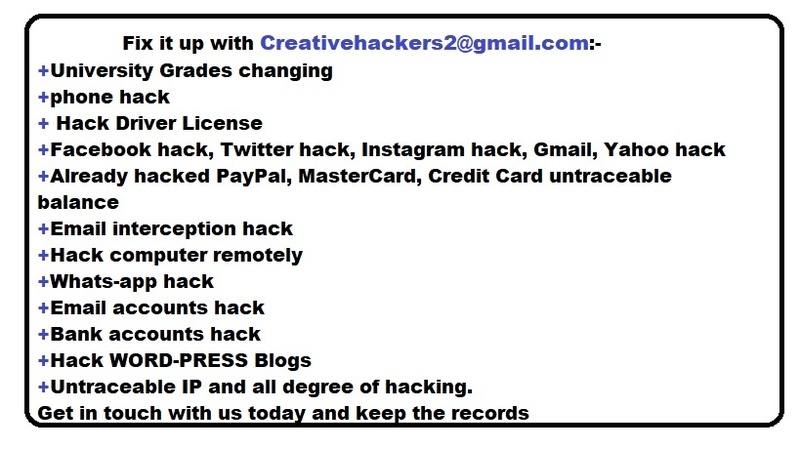 He offers the best hack services for affordable prices…. That’s essentially how Nethunter (Offensive Security) and Andrax Work. Thank you for recommending WORLDJOBFINDER AT YAHOO DOT COM. I now possess the ultimate signal toolkit that shows you how to get a better network connection instantly, find nearby free Wifi hotspots worldwide, hack WiFi password, view signal maps so that you can compare performance of networks in your area and test the speed of your mobile or Wifi connection. I was skeptical at first but after I contacted WORLDJOBFINDER AT YAHOO DOT COM, I am another satisfied customer. Yes, When you focus on a single network, Network Signal Info displays the network’s Wi-Fi-Name (SSID), BSSID, MAC address, maximum Wi-Fi speed, IP address, external IP address, net capability, net channel, subnet mask, Gateway IP address, DHCP server address, DNS1 and DNS2 address, among other things. I also get the paid version of Network Signal Info from WORLDJOBFINDER AT YAHOO DOT COM which has no ads and adds several useful features. With ScanFi from WORLDJOBFINDER you can turn any compatible Android device into a powerful wireless network analyzer with an abundance of advanced features that make WiFi analysis effortless. 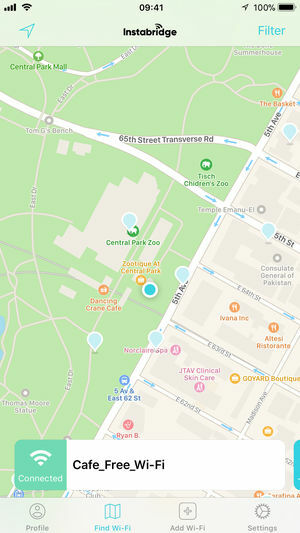 The app allows you to retrieve information about nearby wireless networks, visualize their activity on graphs, and see historical information about their strength, speed, and so on. ScanFi supports both 2.4 Ghz and 5 GHz scanning, and the app doesn’t cost much to download. Spying other’s messages may be very challenging, but with the help of Spyguru2030@ gmail. com you can easily do it. If you really want to know what the other person is up to, then you really need to check their messages with a spy app. There are many reasons why you may want to spy on others. If you don’t trust your partner and if you feel that your partner is cheating on you, then you can easily spy messages to know more about them. When you try to spy on your partner. 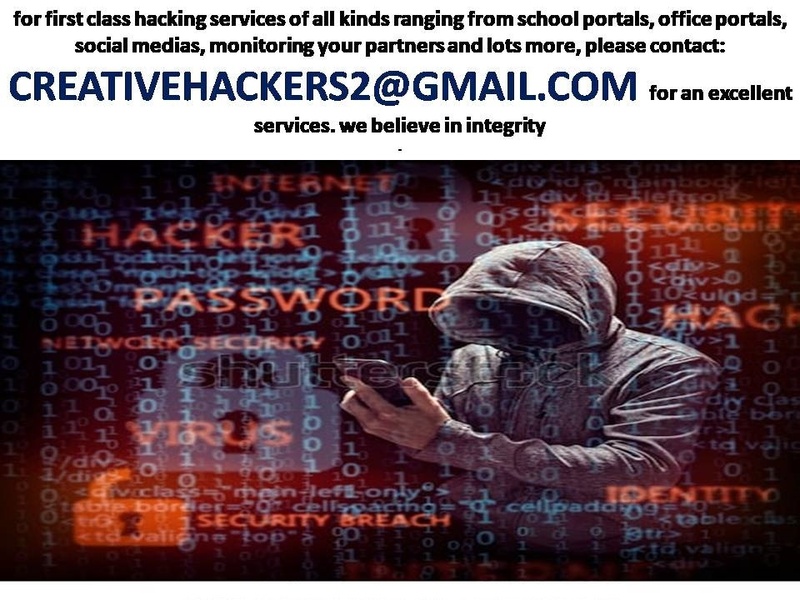 Also, if you see your children using their mobile phone extensively, you can spy on their phones just to make sure they are not doing bad so i advice you contact via email: Spyguru2030@ gmail. com or call : +1 571 489 6546. It was an amazing service rendered contact spyguru2030@gmail. 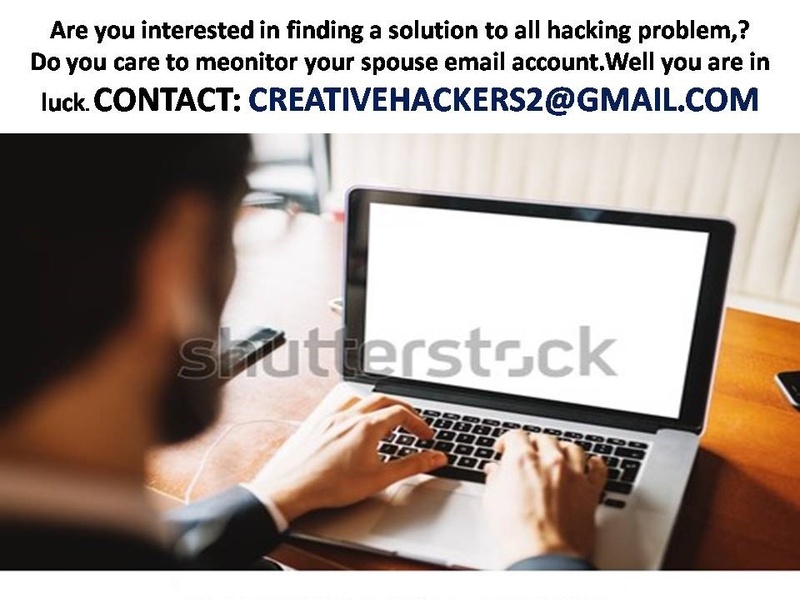 com for any hacking job. well I just thought I should put this out there I met a hacker one time in U.K. Who helped me hack into my dad bank account I mean I’m not proud of it but I really needed money at that time because I had to pay for different things I didn’t want to talk to him about ..just Incase you need hacking services contact him on 0033raven@gmail.com …if he can hack a bank account I guess he should be able to hack anything…. 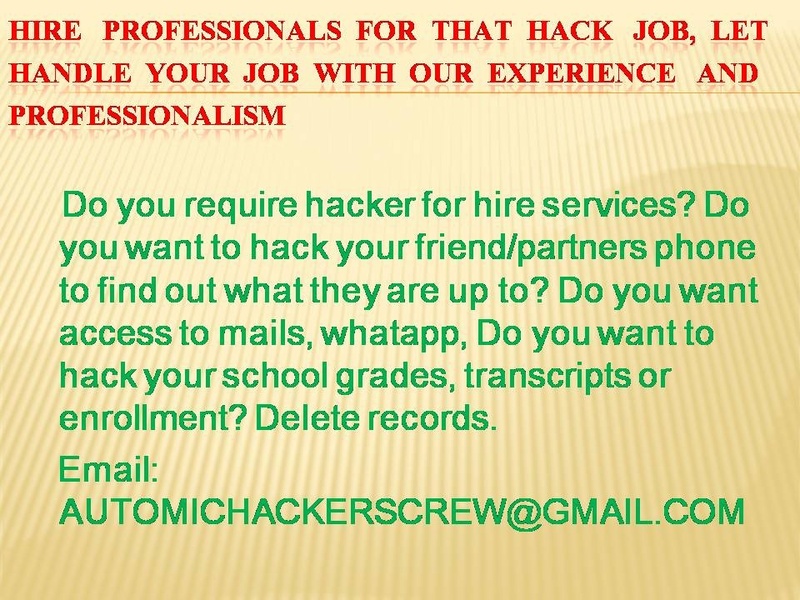 Are you in need of an hacker or private investigator that will deliver for you more than your imagination just like when I contacted them? 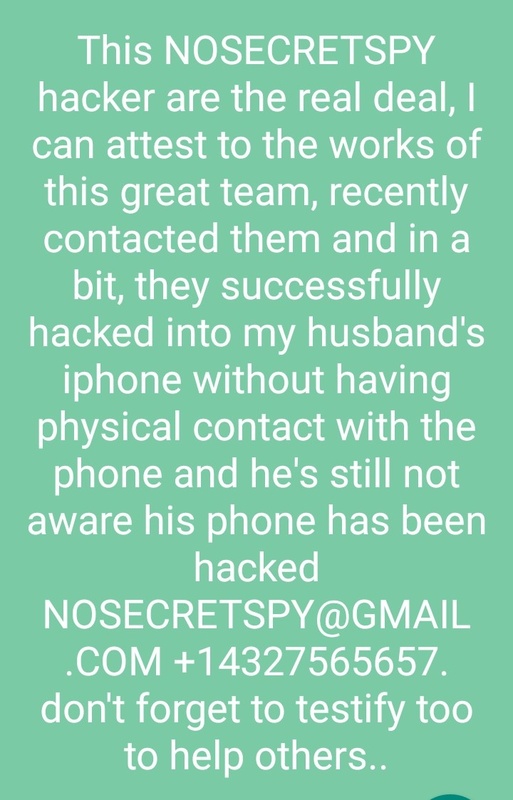 Contact nosecretspy team on Nosecretspy@gmail.com. I know a little about technologies and securities, honestly it is not by advertismentents that you see everywhere, i have contacted a few hackers but when i was able to communicate with spyway44@ gmail. 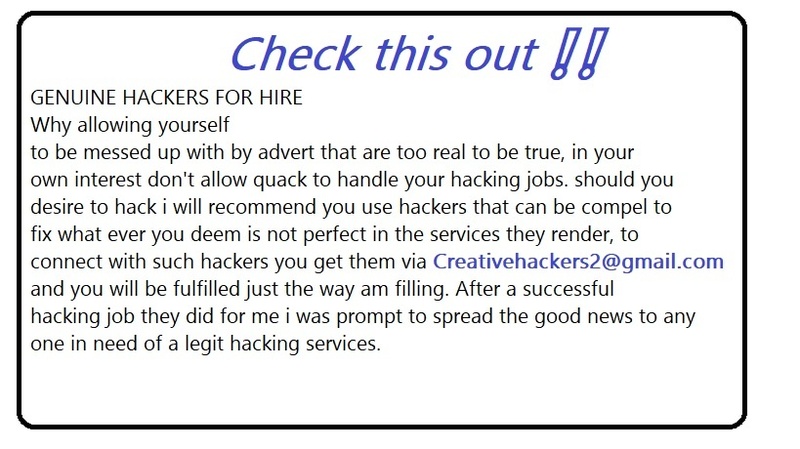 com he really hit the nail on the head for me and i was convinced, i hired him and it all went well.. knowledge is the key that led me to a genuine one ..
to do,before 24hours he hacked my girlfriends facebook and email login details. It was all good for me with NOSECRETSPY . I downloaded a lot of apps ,but they kinda got anotherhacking package they do. Nosecretspy @ gmail的。在离婚过程中，Com一直是一种祝福。我的妻子几乎从我这里拿走了包括我的孩子在内的所有东西，但是在这位私人调查员的帮助下，我得到了一些合理的证据支持我的案子非常感谢在这个平台上介绍或推荐这个团队的人，因为他们做得很好救命. You can try him. I can always identify this guy anywhere anyone speaks about him. He’s just the best doing this. Contact his WhatsApp line and thank me later. Ever since I met this Nicolas guy, he’s has always been awesome Try and message him via WhatsApp +174 031 5 87 38. He’s actually the best on here.. I had lots of email exchange with skyway before I finally agreed to hire him . he was really keen . i did what he did too, hired spyway and got my teen monitored for the camp period.. whatsapp and all was monitored. it was fun doing so ..
Yeah, this Nicolas team is great, tested and trusted! get into your spouse and kids cellphone and other gadgets without having physical access to the device. 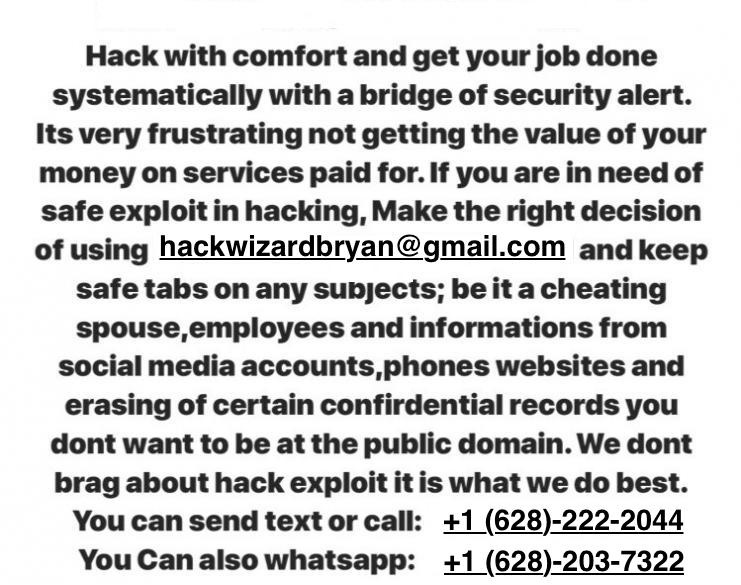 you can actually trust hackswild62 to help you all hacking services. Get this amazing deal and forget all the primitive ways of spying with nosecretspy@gmail.com. Blessings to Mary and whoever you are that recommended him, he just hacked my girlfriend’s instagram, still can’t believe it, what I’ve been looking for for months. Thanks. 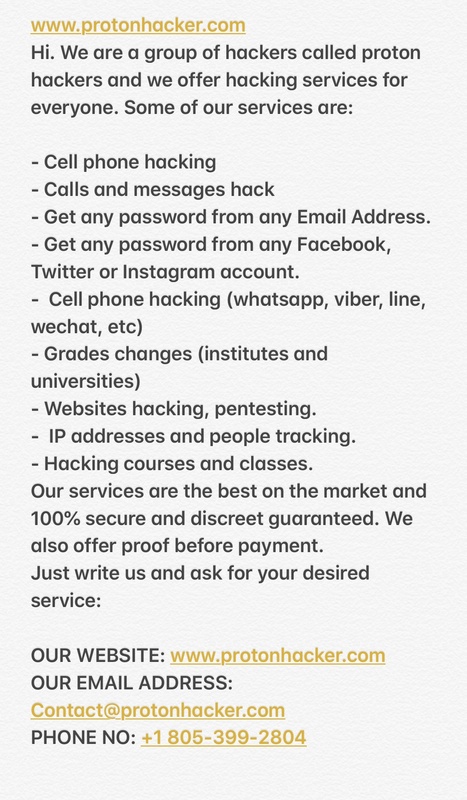 The best hack service you can get on here is NOSECRETSPY, Contact NOSECRETSPY@GMAIL. 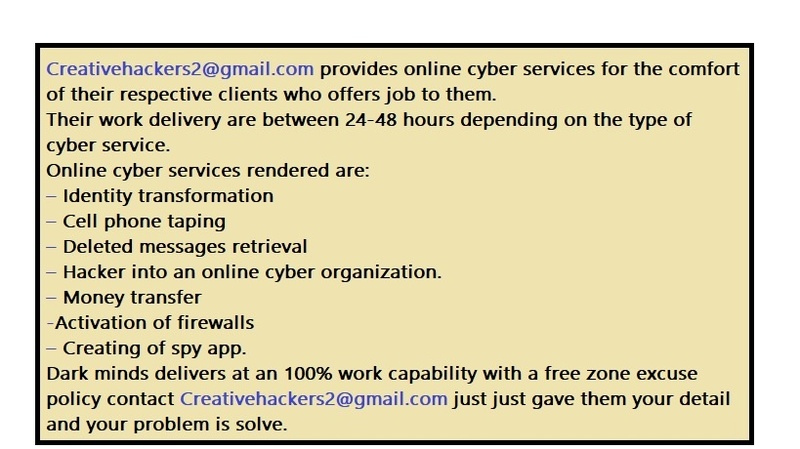 COM for your hack jobs. My boyfriend never likes to use his phone whenever I’m around. I knew something was fishing and I suspected him but I just didn’t know what to do as I had no evidence until I contacted ROYREMOTESPY AT GEE MAIL DOT COM (+ 1 6 2 8 2 0 3 5 3 9 1) and after following his procedures I now monitor every of my husband’s activities. All thanks to him. 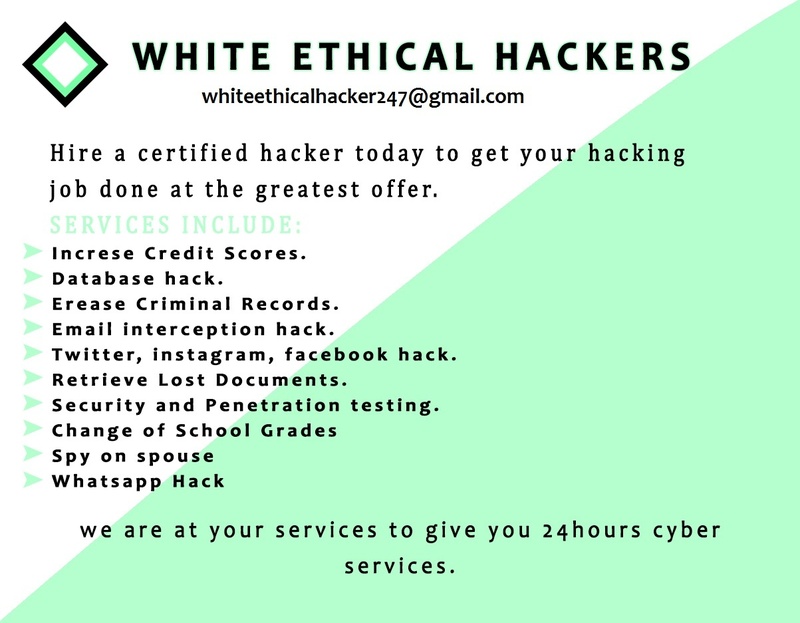 FOR A CREDIBLE HACK JOB AND ACCURATE HACK RESULTS, CONTACT THE BEST HACKER TODAY. The best way to avoid a psychological breakdown after experiencing or having to deal with infidelity is to make sure you are not just assuming your partner is cheating, don’t say they are cheating until you have gathered proof of their act, confrontation without evidence is just unacceptable, i contacted C Y B E R L O R D 5 8 2 when i was in the eye of the storm with my now Ex wife, i saw all her mails, whatsapp messages, kik and even pictures she exchanged with her lover, but it was easier at the end really, having proof helps a lot. C Y B E R L O R D 5 8 2 @ G M A I L C O M is the best hacker I can help you hack into any device or social media accounts. They also boost credit score, boost grades, clear debts etc. My boyfriend never likes to use his phone whenever I’m around. I knew something was fishing and I suspected him but I just didn’t know what to do as I had no evidence until I contacted ROYREMOTESPY AT GEE MAIL DOT COM (+ 1 6 2 8 2 0 3 5 3 9 1) and after following his procedures I now monitor every of my husband’s activities. Thanks to him. 5 3 9 1 ). ROYREMOTESPY “””AT””” GMAIL “””DOT””” COM is prime ✔ .